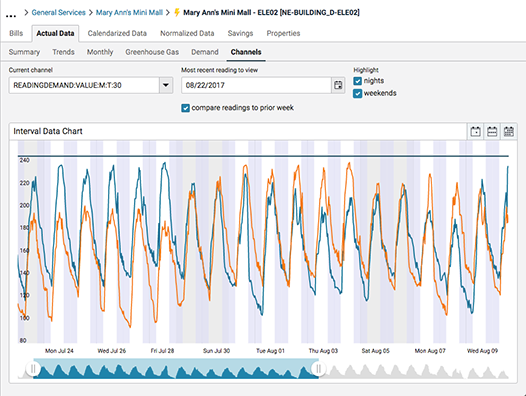 There is tremendous energy management value in interval data—it helps identify problems and savings opportunities that aren’t visible, apparent, or timely with monthly utility bills—and we want to make sure EnergyCAP users benefit from it. The Smart CAPture service will load your meter data into EnergyCAP for you. We can automate the upload of already-available data files via Smart Meter Texas, Green Button, and your utility vendors. Smart CAPture can interface with your existing equipment via file transfer, APIs, and gateways. And, if needed, ECI can install new metering equipment. Once in EnergyCAP, your interval data is available for analysis and reporting and can be rolled up for monthly rebill calculations.